Its arrived!! At long last it is the season for racing. 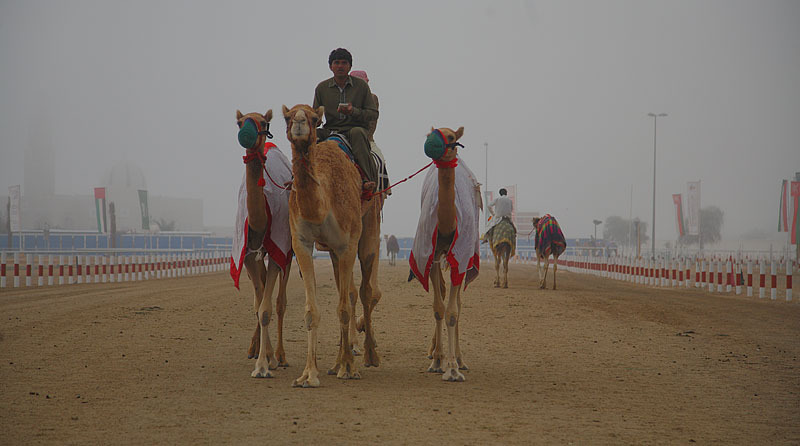 After having trained for close to a year, the camels get their chance to prove themselves.Those who have arrived early are relaxing, its warm, and they know that they will need all their energy for later on, once the racing starts. Others are arriving, all excited, and happy that the time has finally arrived. 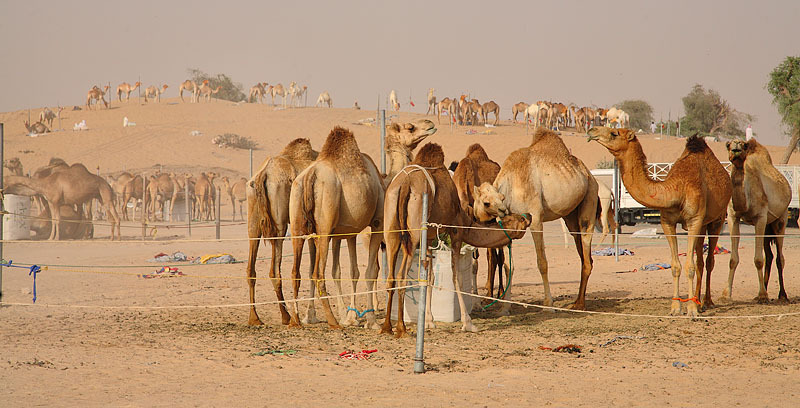 For some of the others, its just a normal day in the desert…..But wait, these are the ones on sale..once the races are over, many of the traders and owners of other camels will come here to inspect them and see if they will fit into, and benefit the herds that they already have. Back on the race-track, its not yet time for the races to start, and there are some that have come just to add a bit of flavor to the races. They do a leisurely lap on one of the tracks, as if sampling what it would be like to race on it some day. OK, things are warming up now, suddenly the place has turned very active and businesslike. 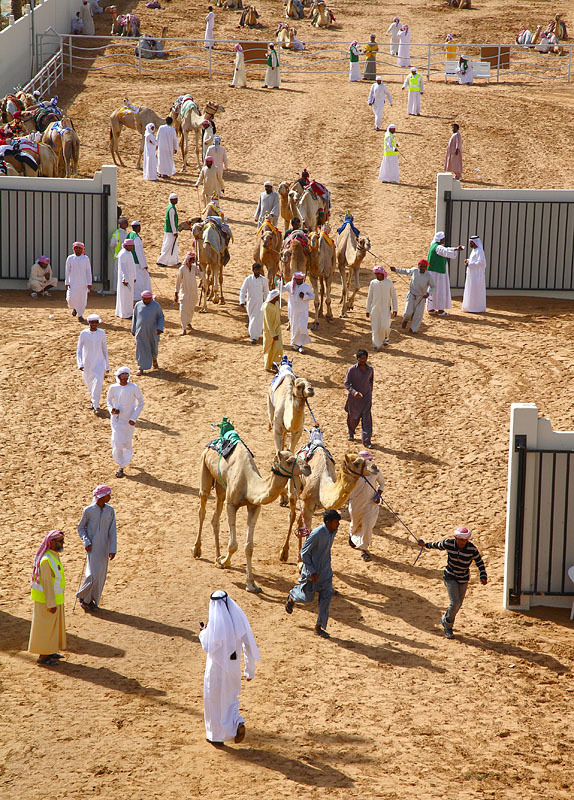 Announcements are made, and the herders start moving the camels towards the start pits. It is interesting to watch, because the animals are nervous, and anxious to get it over and done…slowly and reluctantly, they all make their ways through the gates and towards the start line. 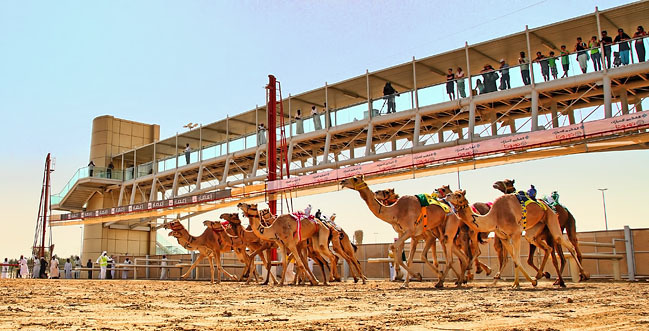 After a lot of coaxing and pushing, the camels are finally in their places and are waiting for the barrier to be raised in order to display their prowess and speed achieved over the past year. And then, without any warning the barrier is raised, and they are off…….. It is a spectacle well worth watching. The dedication shown by the herders, the love between the owners and their animals, the entire festival with traditional tents, cultural dances and campfires, it is almost too good to be true. 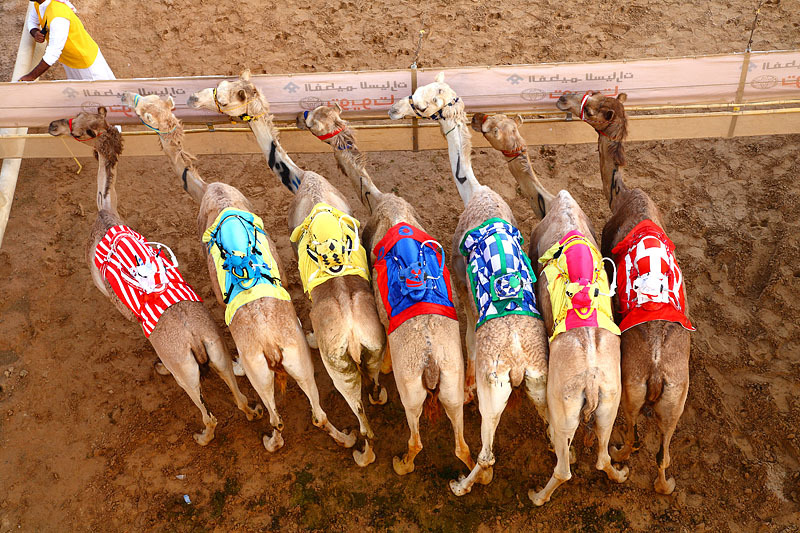 If you are ever in the Middle East during Camel Festival time (it generally happens between December and March), this is one event that you should witness. 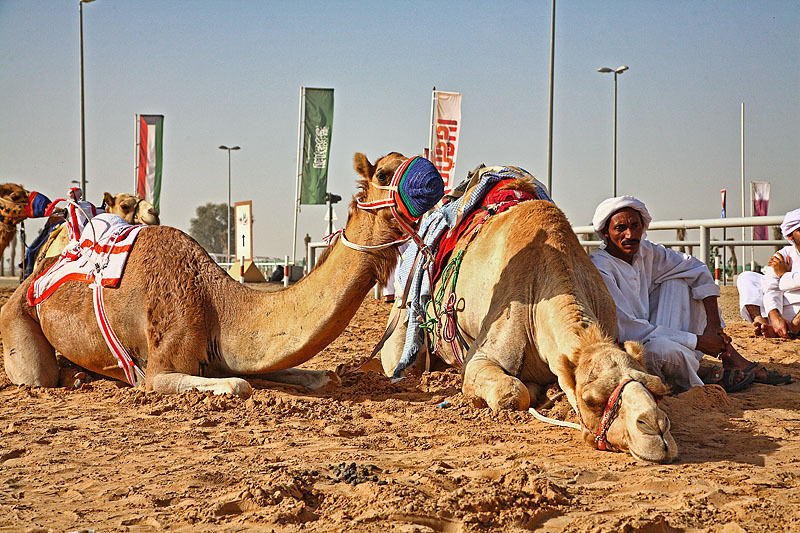 This entry was posted in Event, Sport, Tradition & Culture and tagged Camels, culture, Dubai, Races, sport, tradition, travel, UnitedArabEmirates on June 26, 2015 by pkphotography.